Please note that all our aligner prices are all inclusive with no hidden extras. Orthodontics has been developing rapidly over the last few years and thanks to the introduction of Invisalign it is now possible to straighten teeth more comfortably. Invisalign is a discreet and customised way of straightening teeth that solves multiple orthodontic issues and is accomplished in a shorter period of time. We, at DS Dental are proud to provide this most effective orthodontic treatment that will give you the smile you have always desired. Our experienced orthodontists and cosmetic dentists together work as a team to give you an enhanced and attractive looking smile. You will be amazed to see your teeth straightened in the most comfortable way ever. On your first visit to the clinic, you will have your consultation session with our dentist. 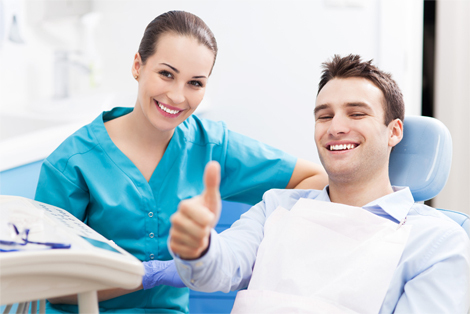 He/she will discuss your oral health and decide on a course of treatment. Impressions will be taken of your teeth so that the invisible braces can be especially designed for you. We use the latest 3D computer imaging technology to design your customised clear and removable braces. You will need several sets of aligners throughout the treatment as it progresses. On your next visit, our orthodontist will provide you with the first set of custom-made aligners to wear. We will book the next appointment when you will need to come to us wearing your aligners. You need to wear your aligners for at least two weeks, regularly, except for the times when you eat, drink, brush and floss. After two weeks, you will be asked to replace them with the new set. Our dentist will monitor your progress every six weeks. The average treatment time varies from 9-15 months. When you have worn each set of aligners, you will see a transformed picture of a straighter smile. We will then provide you with retainers that will help keep your teeth in their new position. Wear it regularly for six months and then as per instructed. Invisible: Invisalign braces are clear and virtually invisible helping you undergo treatment without anyone knowing. Removable: You can take out the aligners when brushing, flossing, eating and drinking. Comfort: As there are no metal wires or brackets, the treatment is much more comfortable. Personalised: Invisalign is a personalised treatment with custom-made braces especially designed for your teeth with no loose or tight braces. No need to go for traditional fixed braces to straighten your teeth, when there is Invisalign. DS Dental offers the most efficient alternative to traditional braces, Invisalign at a price that will suits your budget. We assure you of the desired results within the time prescribed.